With a vast array of incredible things to see and do, it is unsurprising that Kenya welcomes so many visitors from around the world each year. 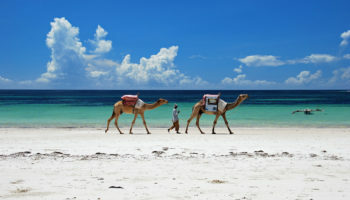 Beautiful beaches, cosmopolitan cities and of course the unbelievably breathtaking scenery all combine to entice travelers to Kenya. 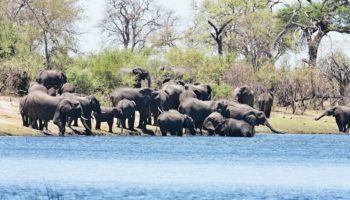 Renowned for its safaris and home to the famous ‘Big Five’, the country has a plethora of stunning national parks for you to enjoy. With so many on offer, here are the most popular national parks in Kenya; adventure awaits so rejoice in all the amazing sights there are to see. Karibuni! Although stunning volcanic formations make this park a joy to visit, Sibiloi is noteworthy for a number of reasons. Its rugged and wild appearance masks the fact that it is in this area that the origins of mankind can be found. Consequently, the park has numerous archaeological sites that document mankind’s humble beginnings. The Koobi Fora Museum is one such site and it is home to many interesting fossils dating back millennia; all of which were discovered in the surrounding area. Located in the north of the country on the shores of Lake Turkana, Sibiloi is an awe-inspiring park with a multitude of breathtaking views to enjoy. Thousands of crocodiles line the lake and lions and leopards also etch out a living in the arid region. The ancient history, stunning scenery and beautiful wildlife make Sibiloi National Park a delightful place to visit. Simply stunning. For the adventurous traveller, Mount Kenya National Park has it all. 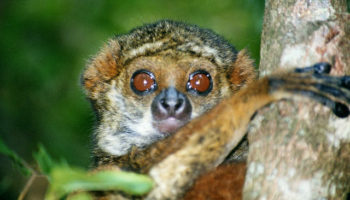 Named after the prominent mountain that dominates the area, the park is home to an amazing array of diverse ecosystems. The snow surrounding the summit of the second highest peak in Africa makes for an impressive sight and climbers looking to scale the mountain must be well-prepared to attempt it. In contrast to the other national parks in Kenya, it is the incredible landscapes and awe-inspiring panoramas that attract visitors to the park rather than the prospect of seeing animals. 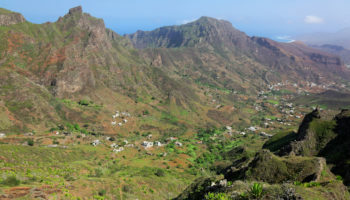 Almost lunar-like in appearance, the geological formations make for some fantastic trekking and a series of spectacular views greet you the higher up you go. This sprawling marine park lies just off the coast of Malindi and is well worth visiting. With beautiful beaches all along the coastline, the national park is dedicated to protecting and preserving the rich ecosystems that are endemic to the area. 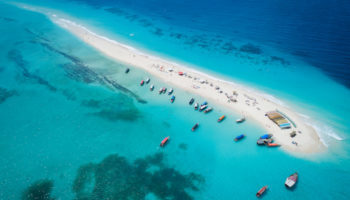 Located in the Indian Ocean, it is often claimed that it was the first marine park to be established in the whole of Africa. Taking a boat trip on the tranquil waters is delightful and if you’re lucky you will see dolphins swim playfully. With ample marine life beneath the waves, the park is home to a number of beautiful sites which are perfect for snorkeling. Mangroves, reefs, lagoons and more will surely make you want to return time and time again to this lovely marine park. 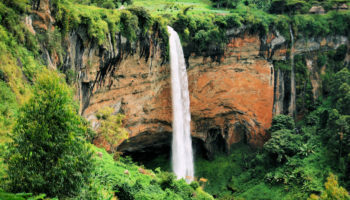 Located on the slopes of the Aberdare Mountains, the park protects the rolling hills and ravines that are a characteristic of this pristine reserve. Due to the high altitude, it frequently rains and as such there are cacophonous waterfalls and sprawling forests for visitors to explore. With such a lush environment it is unsurprising that Aberdare is home to bountiful wildlife and bird watchers, in particular, will enjoy the 250 species of birds on offer. Most visitors, however, are attracted by the proposition of seeing the endangered black rhinoceroses who roam the park. Mesmerising in size and appearance, catching a glimpse of the majestic rhinos makes any trip to Aberdare worthwhile for that alone. An extinct volcano, Mount Longonot is a distinctive and unique national park to visit in Kenya. Rising dramatically towards the heavens, its slopes increase in steepness the nearer you get to the summit. There are a number of lovely trails and hikes around the park that take you up to the rim of the extinct volcano. Contained within the crater at the top is a rich ecosystem of various fauna and flora that coat the ground. Impressive views greet you from up high and the panoramas stretching as far as the eye can see definitely make the tough trek worth undertaking. 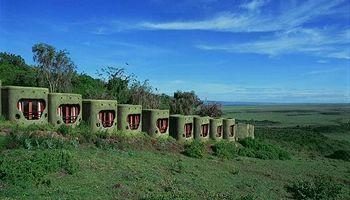 While it is possible to see various animals such as lions, buffalo and zebra, the main draw of Mount Longonot is the stunning scenery that stretches below the extinct volcano. 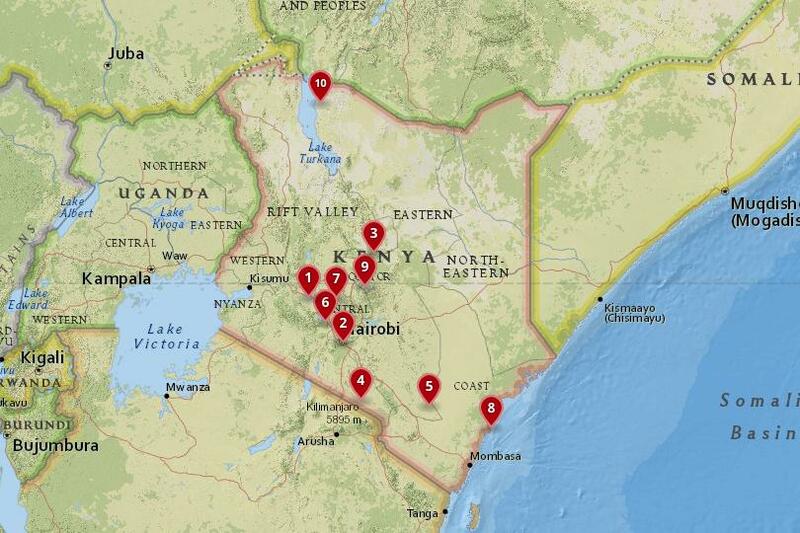 The largest park in Kenya, Tsavo East is a fantastic place to visit if it is wildlife you are after. While the arid terrain appears at times to be bleak and unforgiving, it is in fact home to a multitude of creatures both big and small. Herds of elephants roam the park and it is an unforgettable experience to see them frolicking in the red earth around the life-giving watering holes. 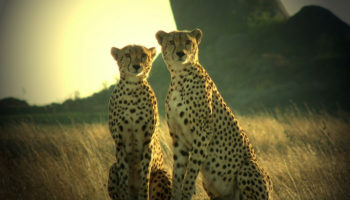 Appropriately wild and untouched, many travelers flock to Tsavo East for a chance to see the Big Five. Lions, black rhinos, buffaloes, elephants and leopards all reside in this biodiversity hotspot and it’s this diverse wildlife that makes the park such a great attraction. 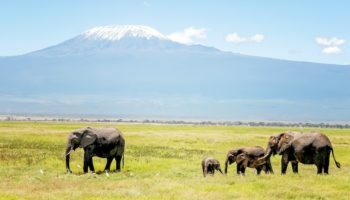 With the looming Mount Kilimanjaro providing a beautiful backdrop to your safari, photos of Amboseli National Park are guaranteed to always look impressive. 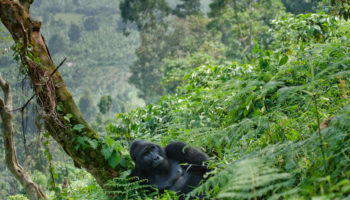 While the beautiful mountain is just across the border in neighboring Tanzania, the park itself has more than enough to whet your appetite for adventure. 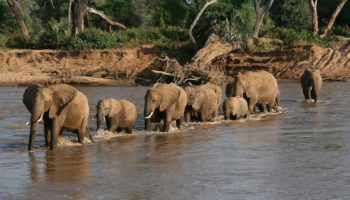 Huge herds of elephants lumber about peacefully in the semiarid vegetation as flocks of colorful birds fly by overhead. 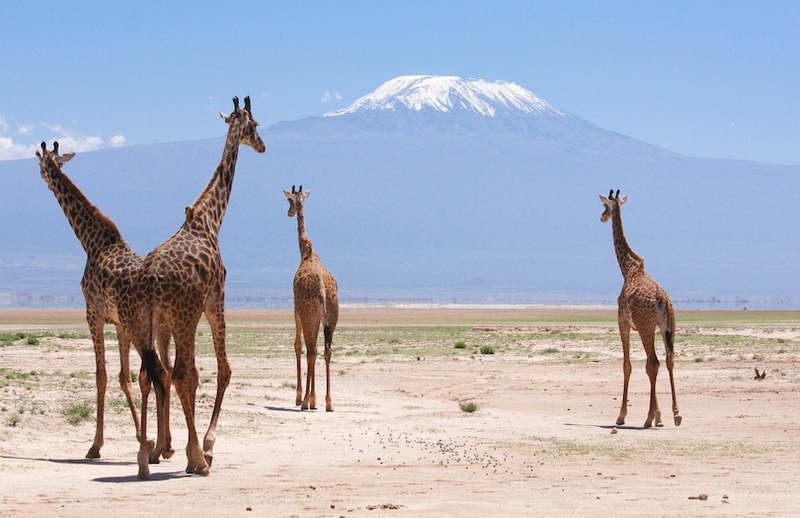 Renowned for its wildlife, Amboseli is a great option for visitors to Kenya as it is one of the best places in the world to view animals in their natural habitat. With a variety of different ecosystems contained within the park, driving around will never get boring as the wetlands turn to savannah and sulphurous springs before your very eyes. For travelers looking to gain an insight into the local culture of Kenya’s people, visit the Maasai community who live in and around Amboseli. Relatively small in comparison with the other national parks in Kenya, Hell’s Gate, however, has a lot to offer. Stunning geological features dominate the park which has a number of impressive ravines and gorges. Fischer’s Tower, for example, is an amazing rock formation to visit and looks like something out of the American Midwest. The oppressive Hell’s Gate Gorge is also one of the main draws of the park. Here visitors walk between its narrow walls until it slowly branches out into a wide gorge. In part popular due its proximity to Nairobi and its cheap entry fees, Hell’s Gate National Park is definitely worth a visit for its spectacular scenery. The landscape of the Disney film ‘The Lion King’ partially draws its inspiration from Hell’s Gate; such is its beauty and splendor. A stone’s throw away from Nairobi, this national park is the easiest of them all to visit. Located within the city limits, skyscrapers and office blocks form the backdrop to the park; it is a strange sight to see giants of the natural world amble by with the Nairobi skyline behind them. Flying into Jomo Kenyatta National Airport you can already see animals roaming about below if you are lucky enough to have a window seat. With a number of large predators and a major rhino breeding sanctuary; be sure to visit the park at some point during your stay in Nairobi. The wide open plains are great to explore and there are also a number of trails and paths for hikers to discover. If you are doubly lucky you might just catch one of the famous migrations of wildebeest and zebra; this would surely be the highlight of any trip to the country. This absolutely gorgeous park is famous for the bright pink flamingos that congregate at the lake’s shore. Shades of pink cover the water and with the white fluffy clouds in the clear blue sky; Lake Nakuru paints a picturesque scene like no other place on earth. Numerous rhinos roam the park and baboons and monkeys can often be seen playing amongst the trees. Waterfalls create a haze of mist on the breeze as indomitable cliffs loom in the background. The diverse ecosystems on offer make the park fascinating to visit and with over 550 different plant species, the landscape is constantly changing. The air of tranquillity it gives off coupled with the stunning sights and beautiful wildlife makes Lake Nakuru the most popular national park that Kenya has to offer. With so many awe-inspiring places to visit and a plethora of breathtaking scenes around the country; Kenya has something that is sure to delight each and every visitor. Lake Nakuru is just the tip of the iceberg of all the marvelous national parks that you can enjoy.